Good morning. 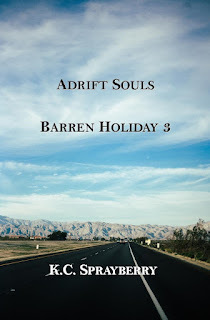 Today, we’re getting the first glimpse into the third novella in the Barren Holiday series. 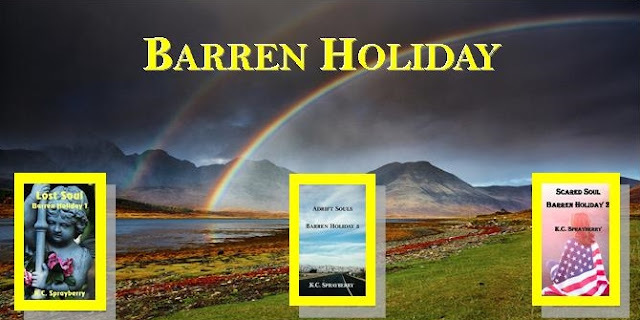 In this tale, Jen and Nik are caught up in a world of political correctness taken to the extreme degree. 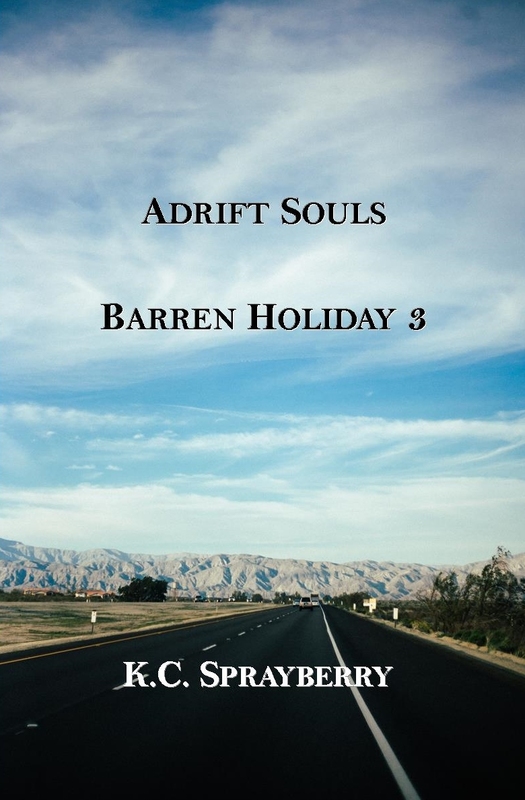 Get Adrift Souls Barren Holiday 3 eBook on Amazon! 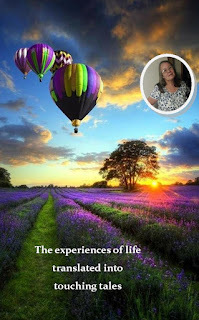 Adrift, they create a miracle for teens. Jen and Nik thought they were competing for the marketing manager position. Each was hoping the other would get the job they were so qualified for. In a matter of minutes, they learned their fate was far worse. Their company released them from their employment, along with a lot of other employees. Cast adrift, they rally the other former employees and work together to create a company dedicated to teens without a good chance in life. Everything is different, changed, causing me more pain that I’ve ever felt in my life. Questions are thrown at me daily: Do I support the madness sweeping through the nation? Am I willing to acknowledge that I am not a good person, because of my ancestry, my privilege? Nothing I respond with is good enough for the questioner. They accuse me of using my ethnicity, or what they call a lack of ethnicity, to get ahead in my job. From deep within me, panic rises. I’ve been working to get this promotion for years. All the nights sitting in classrooms, to finish my master’s degree; the weekends I spent hunched over a computer, studying what I needed to know, all of that may have been in vain.